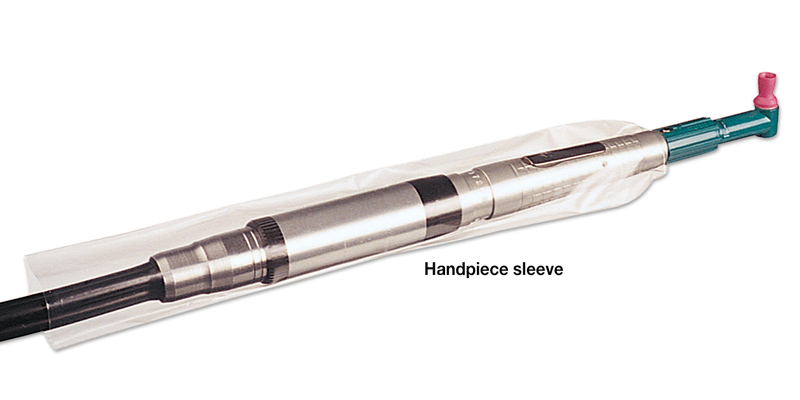 For low speed handpieces. 8" x 1-3/8" sleeves have a hole in the end for prophy angle attachment. Contains: 500 sleeves and 500 rubber band closures.